Snoopy me was listening to a volunteer library worker sighing in the backroom of their used bookstore. She had the door parted, and I glanced up and saw these two puppies sitting high on a shelf. 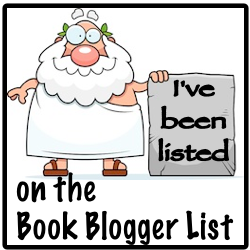 As the other two workers–men who held in their sighs with the recently trucked six boxes of donated books–cleared out of the stockroom to stock shelves, I stage whispered to the agitated woman could I step inside. (Hell, I almost wished she asked me to help so I could peek through what was in the back.) However, it wasn’t until the fourth, raised hissed that I got her attention. 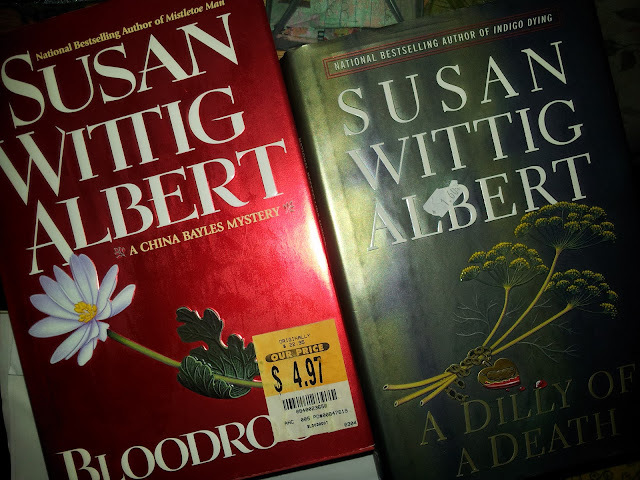 I asked could I step inside and take a look at what was in back stock, but immediately went to these hardback Susan Wittig Albert books; as a part of Albert’s China Bayle series. I'd already did my routine search around what was out front and found nothing. But why, oh why do they always keep the good stuff in the backrooms? Anyway, Bloodroot is China Bayles #10. In this entry China goes back to Mississippi to confront, or uproot (heh), pieces of her past. I’m almost certain her recovering alcoholic mother, Leatha, will be in the mix. A Dilly of a Death is Bayles #12. While there’s much more to the synopsis, this has the queen of a pickle festival (remember, these books take place in Texas) disappearing. Rumor has it she sold her business and dashed. Other rumors point to her missing boyfriend. 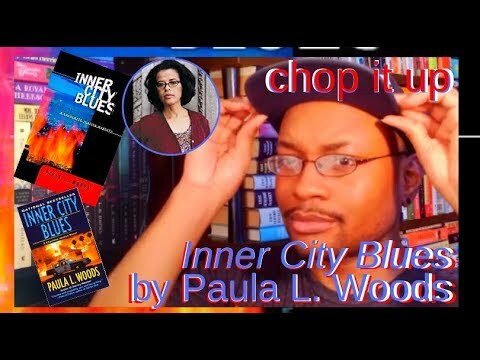 I just want to read the damn book and see. I got a lot of ground to cover before I get to these entries. Still I felt for a $1.50 apiece, I could hold them in stock for myself instead.